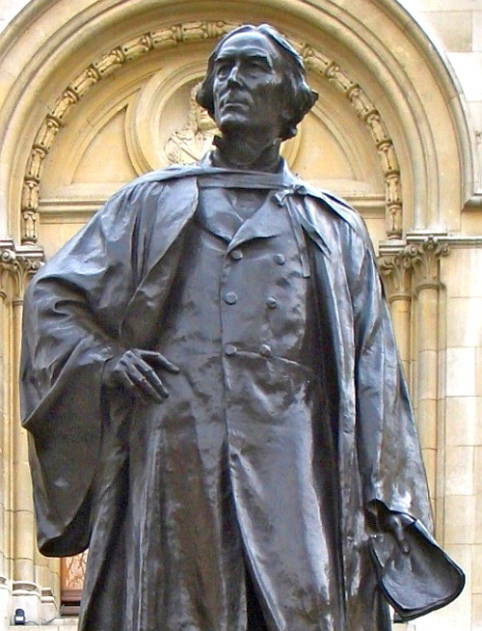 The statue of the great actor and theatre-manager, the first actor to have received a knighthood, is prominently sited just north of the National Portrait gallery, close to London's theatreland. 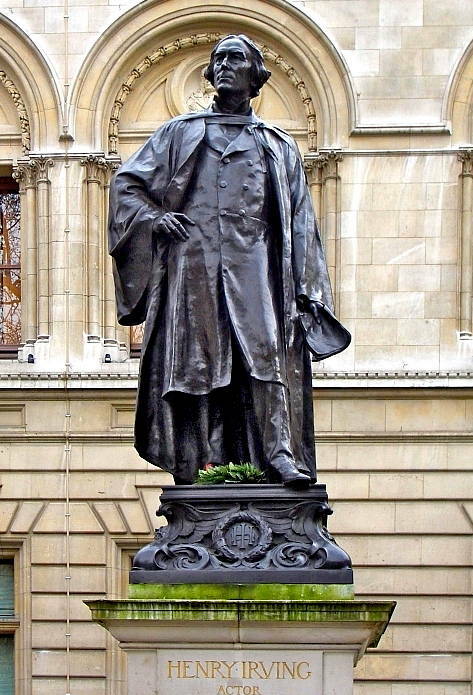 The statue conveys an impression of his towering height and presence (according to Margaret Baker, he was known as "The Elevator of the Stage," 12), and shows him holding a script in his hand. At his feet is a wreath, replaced every year by the Irving Society to commemorate his birthday. Photograph and text by Jacqueline Banerjee. Baker, Margaret. 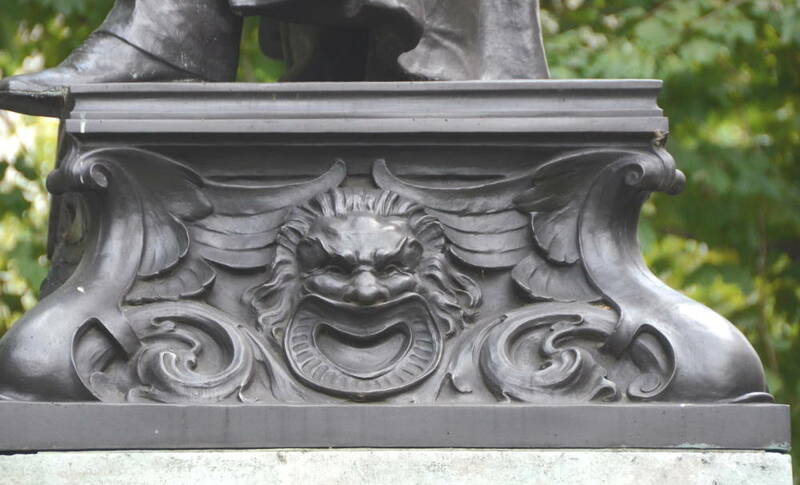 Discovering London's Statues and Monuments. 5th ed. Botley, Oxford: Osprey, 2002.